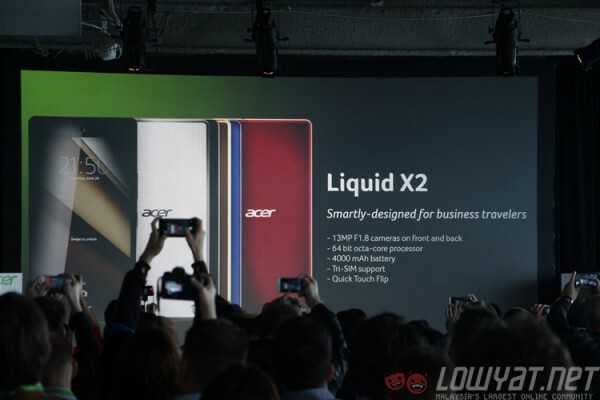 Acer revealed the Liquid X2, a smartphone aimed at heavy business users, at its global event in New York. There aren’t many specifications revealed, but we do know that it has three SIM card slots and promises a very substantial amount of time between recharging due to the 4000mAh battery. We do know that the 5.5-inch form houses a 64-bit octa-core processor of any unknown make. 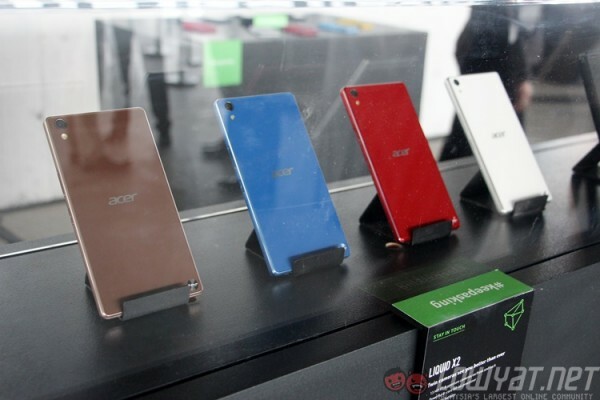 Although Acer has declined to reveal anything about the RAM, storage or memory expansion ports. What is interesting is that the smartphone features two 13-megapixel f/1.8 cameras. One on the back, where it is expected to be, and one on the front. It’s not often we get to see such a big camera sensor on the front of a phone, and HTC was the last one to try this setup with the Desire Eye. We can assume that the extra large front sensor is to help with video conferencing, since the device is aimed at businessmen who are on the move a lot. 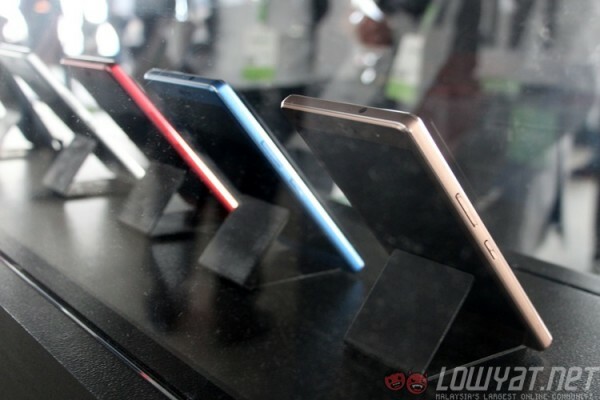 The look of the Liquid X2 is reminiscent of the Sony Xperia Z3; at least from the back. 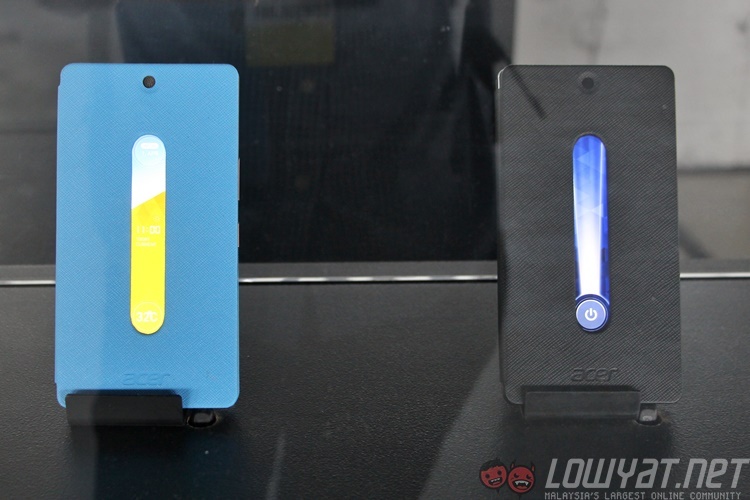 This may appeal to some, but Acer also has a Quick Touch flip case – which is similar to those made by Samsung – which offers quick access to controls like music and time without fully opening the case. Interestingly, Acer did not have a unit for us to handle at the event. 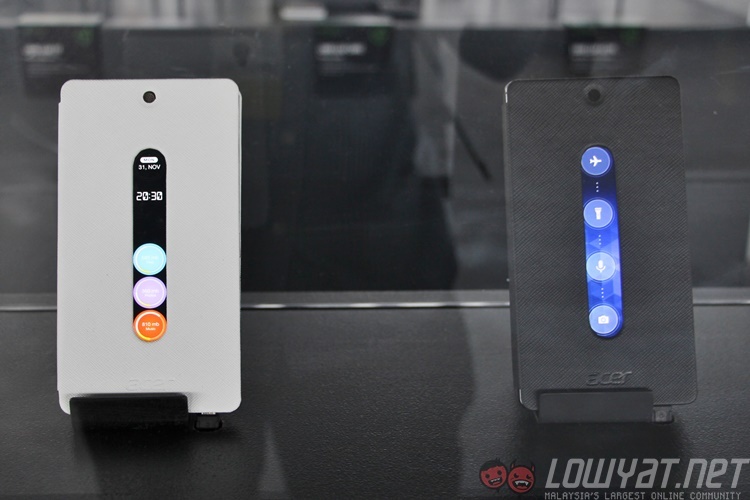 The only Liquid X2s on display were behind a glass case, which probably means that they were mock ups brought along to show the press what these devices are supposed to look like.